I know many people don’t like big banks, such as Bank of America and Citibank, both recipients of billions of dollars taxpayer money since the financial crisis began in late 2007. 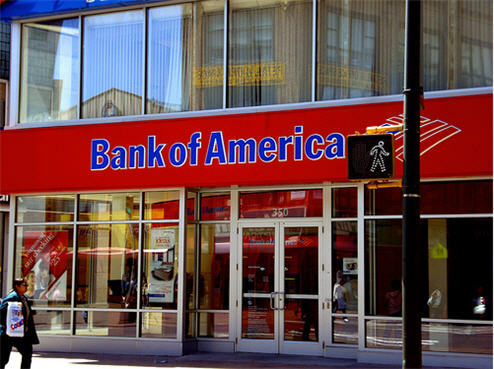 Though I understand the reason of the dislike, I have chosen to continue to bank with Bank of America because I like the convenience of having BofA branch offices very close to where we live, both in NJ and VA. Anyway, if you are like me who don’t mind do business with Bank of America, here’s a promotion from BofA for up to $220 bonus for opening a new Bank of America checking account. Pay your Bank of America credit card online from your new checking account and earn a $20 statement credit—every month for six months, a maximum credit of $120. According to BofA, direct deposits are electronic deposits of periodic payments — such as salary, pension, Social Security and Supplemental Security Income (SSI) benefits or other regular monthly income — made into your checking account through the automated clearing house (ACH) by your employer or other payer. Deposits you make, Online Banking transfers, wire transfers, and other transfers you make between your deposit accounts with us are not considered direct deposits and do not qualify for direct deposit. However, from a thread on FatWallet.com, it looks like BofA considers transfers from Paypal, ING and ACH push from other external accounts as direct deposits. EverBank FreeNet Checking Account: 2.01% 3-month bonus rate; $1,500 minimum; No fee; Free billpay; Free ATM. FNBO Billpay Account: 1.10% APY; No minimum; No fee; Free billpay; Free ATM withdrawals. Ally Bank Interest Checking Account: 1.05% APY for $15,000 or more; No minimu; No fee; Free billpay, Free ATM; Unlimited check writing. Zions Bank Internet Savings Account: 0.40% APY; $100 minimum; No fee. ING Direct Electric Orange Checking Account: 1.10% APY for balance of $50K or more; No minimum; No fee; Free billpay, Free ATM. There is a $25 minimum initial deposit requirement for the checking account. Other requirements to avoid monthly fee are as the following. Regular Savings accounts do not have monthly maintenance fees for 6 statement cycles when you apply with any checking account, otherwise they do not have monthly maintenance fees for the first 2 statement cycles. Avoid monthly maintenance fees after the introductory period with a scheduled recurring transfer each month from checking to savings of $25 or more or a minimum daily balance of $300 or greater in Regular Savings. 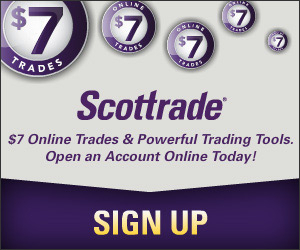 Transaction limits and excess withdrawal fees still apply. Check out the Bank Bonus Guide, they have a ton of offers like this.